Information assurance is quickly becoming one of the most vital fields in modern times, and a Master’s in Information Assurance is a key to success in this fast-changing field. With information at an all time premium there is a constant struggle between those looking to preserve information and those seeking to compromise information. Companies are seeking people with experience and education to preserve sensitive data. This is a look at the top ten Master of Information Assurance degree programs. This is the premier degree for those looking to specialize in network security, many of these programs are recognized by the CNSS, a joint effort by the DoD, NSA and DHS to designate top programs in the field as they recognize the necessity of people with this expertise. Recognition by CNSS as well as the reputation of the institutions, cost of tuition and flexibility of the programs were all taken into account for the rankings. 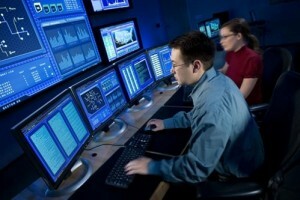 Georgia Tech is the only university of its class to offer an online distance learning Masters of Science in Information Security. This degree is essentially the computer science focused equivalent of the Master’s in Information Assurance degree. This program is a perfect choice for those with a background in computer science looking to break into the field of information security and assurance. The entry requirements are higher than most other online programs requiring the equivalent of an undergraduate degree in computer science. The minimum gpa is 3.0 though the site states most applicants have scored higher. The site also suggests that the applicant have a strong background in C programming and discrete math. If you meet these requirements, this program should definitely be considered; programs offered online by institutions of this caliber are rare. The Georgia Institute of Technology is accredited by the Commission on Colleges of the Southern Association of Colleges and Schools. Georgia Tech has been selected by the National Security Agency (NSA) and the Department of Homeland Security (DHS) as a National Center of Academic Excellence in Information Assurance. This is one of the oldest information assurance programs in the country. Iowa State was one of the first seven institutions to be recognized as a NSA-Certified Center of Academic Excellence. The entry requirements are standard for the field. Two distinct programs are offered, either Master of Engineering Science in Information Assurance or a Master of Science in Information Assurance. This is an especially good option for residents of Iowa as in state tuition cuts the cost in half but it remains a viable option for anybody considering this degree. Iowa State University is accredited by Higher Learning Commission, a commission of the North Central Association of Colleges and Schools. Yet another state university offering this degree online. One of the primary benefits of state schools is that they are recognizable, well regarded, and trusted institutions. Dakota State University is another school recognized by both the National Security Agency and The Department of Homeland Security as a National Center of Excellence in Information Assurance Education. This makes it another strong choice especially considering its low tuition when compared with many institutions of similar quality. Accredited by Commission on Institutions of Higher Education of the North Central Association of Colleges and Schools. This program includes all ten bodies of information associated with CISSP as well as the six federal training standards. The program also offers preparation for the official CISSP exam. Capitol College is also designated by the NSA and DHS as a National Center of Academic Excellence in Information Assurance Education. Admissions requirements and tuition are standard in comparison to other programs. Capitol College is another strong choice for somebody with a strong IT background seeking a Masters in the Information Assurance field. Capitol College is accredited by the Commission on Higher Education of the Middle States Association of Colleges and Schools. This program is a Master of Liberal Studies in Information Assurance, which is a distinctive approach considering most other programs are Master of Science. The training from this degree encompasses the technical side addressed by others but also approaches information from a theoretical point of view. Tuition is affordable and the perspective is unique. This is a strong choice for those looking for a different approach to information assurance. Fort Hayes State University is accredited by the Higher Learning Commission of the North Central Association of Colleges and Schools. Now that you’ve reviewed our top 10, check out our full list of Information Assurance programs by clicking here. Individuals seeking more general education in Information Technology Management will often pursue a Master’s in IT Management. These degrees cover broader IT concepts of application development, network design, entrepreneurship, and more. In many larger corporations, a Master’s in some branch of Information Technology is typically required for higher level management positions, such as those of CTO (Chief Technology Officer) and CIO (Chief Information Officer). Managers in information assurance are charged with managing risks surrounding the use, storage, and processing of data and information within a corporation or enterprise. The field of information assurance has grown from the field of information security. Master’s in Information Assurance degree programs teach one or more information assurance models, which include the CIA Triad (Confidentiality, Integrity, and Availability) and the Five Pillars of IA model which was developed by the U.S Department of Defense (DoD). Courses commonly found in Masters in Information Assurance programs include the following.